Nadia Khiari is a Tunisian artist, painter, graffiti artist and teacher of art. 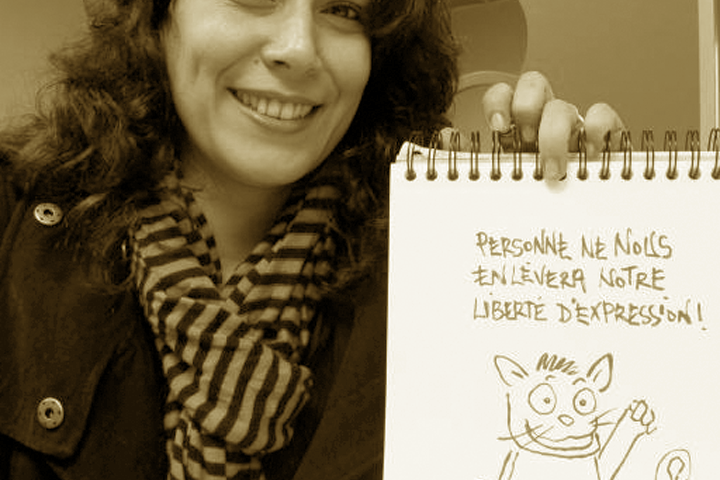 She is best known for her chronicles and her collection of comics about the Arab spring, told through her curious character: Willis the cat. 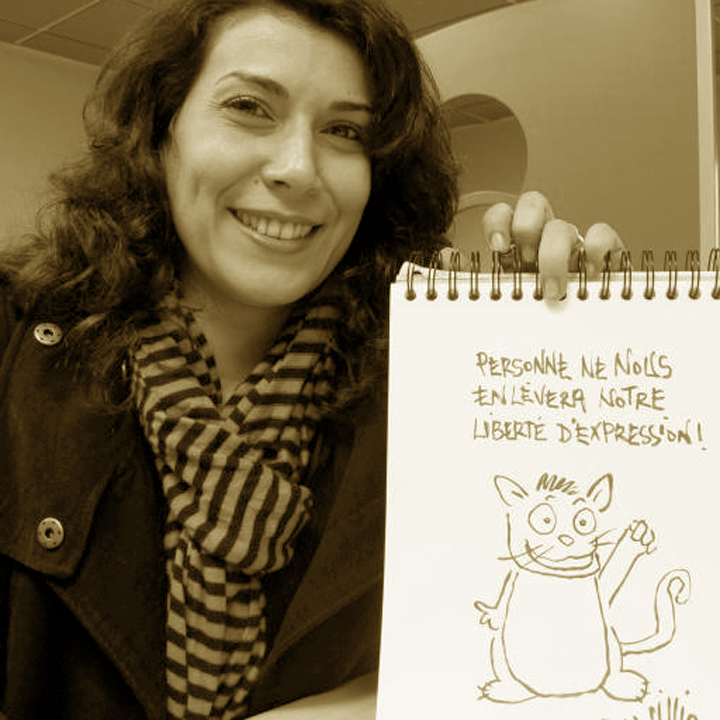 With Willis from Tunis, the protagonist of her cartoons, she ironically narrated the crucial events of the Tunisian transition.